Ancient times were filled with wars and men held the forefront of every battle. However, a few women took up the course and led some of these wars. They made marks on the walls of history as they fought bravely to the defeat of their opponents. Some died at the course of a battle and a few others survived their scars. We won’t be able to give the whole rundown list of these female Samurai warriors and characters in history but we have enlisted seven of them below. 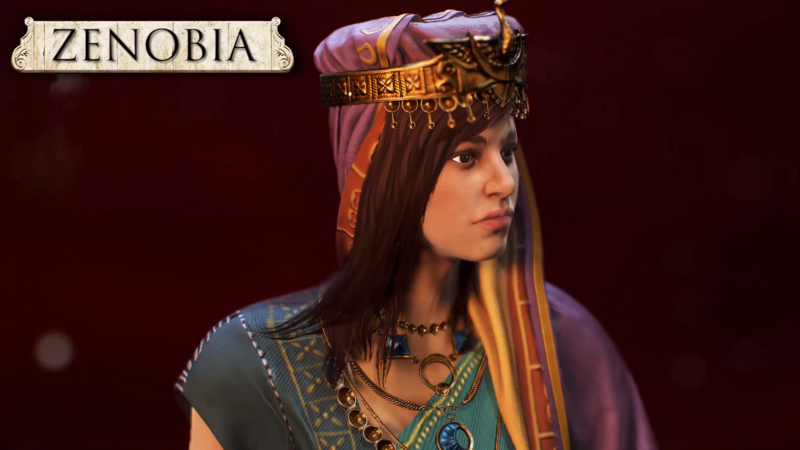 After mourning her husband and step-son who were both gruesomely murdered, Zenobia became the ruler of the Palmyrene Empire currently known as Syria. She led the war against the Roman Empire and expanded the cities as she took over Egypt from the Romans. She ruled over Egypt for a very long while and was later defeated and held captive by the Roman Emperor Aurelian. A lot of scholars who wrote about her death had different views, some say she starved herself to death while others said she became ill. In all, there is no certain record which authenticated the fate of the Legendary Samurai warrior. She became an icon for the Syrian Nationalist and her tales were told in an 1871 novel by Salim al-Bustani. Zenobia is a renowned figure in the whole of Syria and her pictures appear on their banknotes. She is one of the greatest Female Samurai Warriors that ever lived. You can’t make this list without naming Artemisia I of Caria. She was a Greek queen way back in 480BC. This queen was equally a warrior who fought in the troupe of the then king of Persia; Xerxes I. 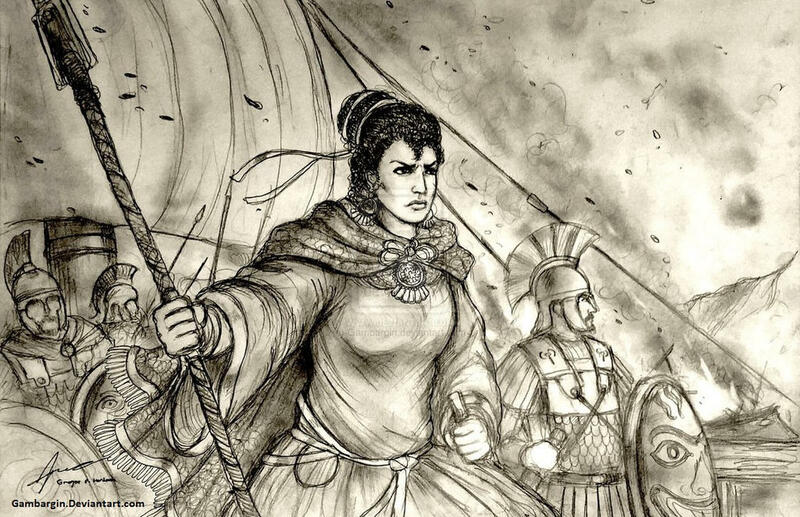 She ruled over five ships at the naval battle of Artemisium and the naval Battle of Salamis 480BC. History documented that she defeated the Salamis and the Artemisium. She fell in love with a man named Dardanus who never paid attention to her and in a bid to get even, Artemisia blinded him in his sleep. But then, it didn’t cure her passion for him. Instead, she loved him more. To get over the passion, the brave queen jumped down from rock Leucas and fell to her death. Afterward, she was named after several ships. Her stories were portrayed in the 1962 movie titled The 300 Spartans and in the movie 300: Rise of an Empire. You can’t go down the Japanese history without mentioning Nakano Takeko, she was a brave Samurai warrior who was skilled in martial arts. She was born in April 1847 and fought bravely in the Boshin war. Although she died on October 16, 1868, her deeds can never be forgotten. One distinct quality of this Samurai warrior was how she refused being denied of partaking in the war, this placed a landmark for her to be counted as one of the greatest female Samurai warriors ever. She formed her own women group and led them to the battlefield, fighting with her Naginata – a Japanese polearm. Nakano Takeko was shot in the chest by the imperial Japenese Army of the Ogaki domain. She was later butchered by her team and buried which was her last wish. In honor of the brave warrior, a monument was built and till date, young ladies come each year to pay homage to her and her women army every Aizu Autumn Festival. Queen Boudicca took the path of being a warrior after her husband died. She was married to the king of the Celtic tribe, Iceni. After her husband’s death, she and her daughters were molested and raped by the Roman soldiers. The Samurai warrior couldn’t take it anymore and formed an army with the aim of defeating the soldiers and sending them off their lands. She gathered over 100,000 soldiers, fought fiercely and threw down the cities of Londinium and Verulamium. Unfortunately, she lost to the Romans and lost her life as well. Boudicca and her daughters are still remembered till date, a statue of the brave queen in her chariot was molded in bronze and is currently situated at the Victoria Embankment close to Westminster Bridge and the Houses of Parliament. 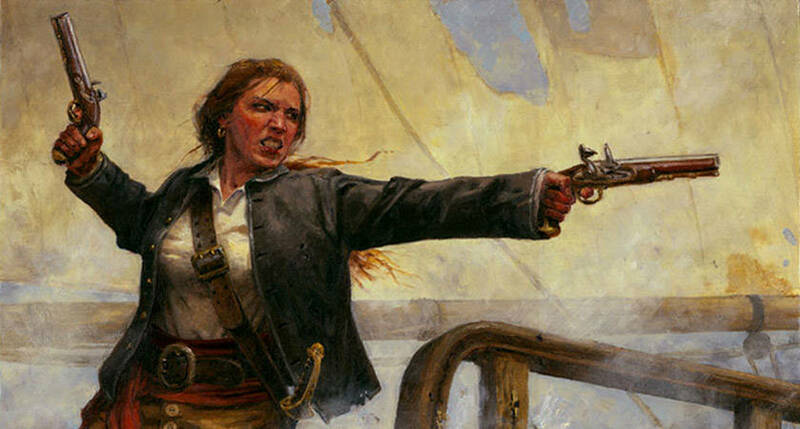 Grace O’Malley is an Irish pirate queen popularly known as Gráinne Mhaol which means teenage rebellion. She took a clean shave after her mother refused her joining her father’s squad on the sea because of her long hair. After her father’s death, the Samurai warrior fought bravely and died at Rock Fleet Castle in 1603. She was buried at Cistercian Abbey on Clare Island. 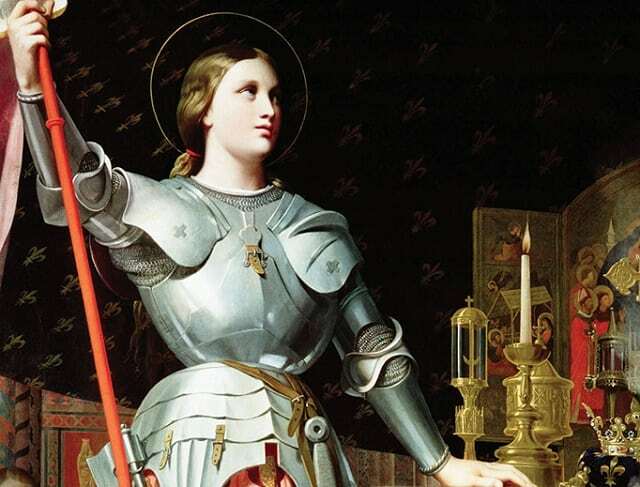 Joan of Arc is a religious damsel who took the path of being a fighter after seeing visions of Archangel Micheal. She approached the military of France’s King Charles VII and asked to be his assistant during the Lancastrian Phase of the Hundred Years’ war. She was initially mocked at her request but earned the respect of everyone after her influence ended the siege of Orleans in nine days. At the tender age of 17, Joan was pulling an army and was said to have fought skillfully and bravely. She was later captured in 1430 and was put on trial by the English for heresy and cross-dressing. She was found guilty and was burned alive on a stake. The Catholics revisited Joan’s trial for heresy exactly 25 years after she was convicted and killed, and overturned the charges. Subsequently, Pope Benedict Xv declared her a saint as still seen by the Catholics till date. One of the seven greatest female Samurai warriors is Trieu Thi Trinh, her story is almost the same as Joan Arc’s, the samurai warrior was said to be the Vietnamese version of Joan of Arc. She is a French Heroine who existed over 100 years ago and a young lady who raised a thousand army against the Chinese forces just at the age of 20. She was said to be 9 feet tall with breasts that were 3 feet long. 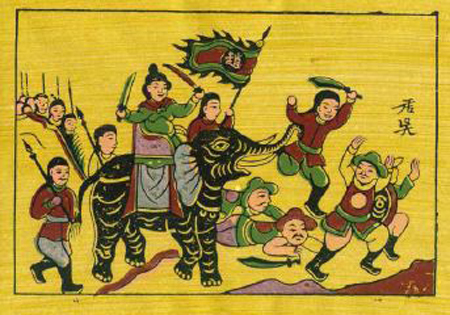 Lady Trinh was challenged by her brothers but this didn’t stop her, the firebrand kept fighting wars dressed in a yellow robe and armed with two swords while riding on an elephant. She lost the war against the Chinese and later committed suicide at the age of 23. In recent times, Lady Trinh is celebrated as a hero and is named after many streets in Vietnamese cities.